There are now 145 mobile operators who have launched commercial LTE service in 66 countries, according to the Global mobile Suppliers Association (GSA), and this number is forecast to reach 234 LTE networks in service by the end of 2013. Meanwhile, the number of LTE subscriptions increased almost 10-fold in the year to September 2012, reaching 44 million. The majority of network deployments use FDD and operate in paired spectrum. 1800 MHz (3GPP band 3) has emerged as the dominant band for LTE network deployments in virtually all regions of the world. 58 operators i.e. 40% of all commercial LTE operators, use 1800 MHz spectrum either as a single band system, or as part of a multi-band deployment, in 39 countries. At least another 22 LTE 1800 network deployments are in progress in the Asia Pacific region, Europe, the Middle East, Africa and Latin America. 130 LTE products, almost 1 in 4, support LTE 1800. The second most popular band in which LTE systems are deployed is 2.6 GHz (band 7). The TDD mode of the LTE standard has also gained strong traction and interest across the world. A total of 13 operators have launched commercial services using LTE TDD, which is the optimal solution for use in unpaired spectrum. The FDD and TDD modes are fully complementary. LTE TDD shares most of the FDD design and standards and uses a common core network, and industry commitment is strong. Some operators have commercially launched LTE service using both FDD and TDD modes. Six TDD systems are deployed in band 38 (2.6 GHz), five systems are in band 40 (2.3 GHz) and there is one deployment each in band 41 (2.5 GHz) and bands 42/43 (3.5 GHz). Bands 38 and 40 have the largest ecosystems for LTE TDD user devices. Ericsson will transfer 2,185 issued U.S. and international patents and patent applications to Unwired Planet, an intellectual property holding firm with many patents considered fundamental to mobile communications. Under the deal, Ericsson will also contribute 100 additional patent assets annually to Unwired Planet commencing in 2014 through 2018. In return, Ericsson gains access to Unwired Planet's enlarged patent portfolio. Ericsson will also gain rights in future revenues generated from the enlarged patent portfolio. Unwired Planet is based in Reno, Nevada. CITIC Telecom will buy out the entire equity stakes in Companhia de Telecomunicações de Macau (CTM) that are currently held by Cable & Wireless Communications and PT (Portugal Telecom) for US$1,161.3 million (approximately HK$9,000.1 million). The deal consists of the 79% interest held by C&W and PT. CITIC previously held a 20% stake in CTM. Companhia de Telecomunicações de Macau is principally engaged in mobile, fixed line and broadband services in Macau and is a major supplier of enterprise telecom services to corporate customers in Macau. CITIC Telecom is a subsidiary of CITIC Pacific Limited, a publicly traded Hong Kong corporation with diversified business expertise and interests in Hong Kong and Mainland China — including Special Steel manufacturing, Civil Infrastructure, Iron Ore Mining, Property, and Energy. Streetline, a start-up based in Foster City, California, raised $25 million in Series C funding for its M2M smart parking systems for cities. Streetline says it now has more than 30 cities and universities using its real-time smart parking solutions. The first two European deployments are in Braunschweig, Germany and Birmingham, U.K.
Streetline's patented smart parking platform detects the presence of a car through a network of ultra-low power wireless sensors located in individual parking spaces. Data from these sensors, or from counting equipment installed in parking garages and lots, is then made available in real time via various cloud-based applications, such as Parker, the leading consumer guidance app for smartphones, tablets, personal computers and – soon – in-car navigation systems, as well as other applications geared toward city planners and parking facility operators. In addition to real-time data, Streetline also integrates garage data for over 23,000 locations into the only unified and complete parking data package for consumers through Parker. The new funding was led by True Ventures, and new investors Citi and Qualcomm Incorporated, acting through its venture investment group, Qualcomm Ventures. Pro-rata follow-on investments were made by Sutter Hill Ventures, RockPort Capital Partners, and Fontinalis Partners to complete the round. The Series C financing augments the $25 million credit facility Streetline recently secured from Citi that enables the company to offer innovative financing options for municipalities deploying smart parking solutions. "Streetline is harnessing the power of the 'Internet of Things' to tackle one of the great unsolved urban problems: parking," said Zia Yusuf, president and CEO of Streetline. "With more than 30 deployments in both the U.S. and Europe, we've moved beyond smart parking as a concept to smart parking as a reality. This investment is a validation of Streetline's achievements to date and represents a considerable endorsement of our future growth potential globally. We are delighted to welcome our new investors True Ventures, Citi, and Qualcomm and the continued support of Sutter Hill, RockPort Capital and Fontinalis." Streetline recently announced a collaboration with Cisco to bring smart parking to two Silicon Valley cities (San Mateo and San Carlos). Guavus specializes in big data analytics solutions for tier-1 communications service providers. It offers a suite of decisioning applications that have pre-built intelligence for faster time to insights across network, device, content and subscriber analytics. The company said its solutions have allowed carriers to both realize cost savings by optimizing network capacity and increase revenues by delivering a better consumer experience. Guavus claims two of the top three mobile operators and backbone carriers in the United States utilize Guavus Big Data analytics solutions. The funding round was led by Investor Growth Capital (IGC) with participation from QuestMark Partners and previous investors Artiman Ventures, Sofinnova Ventures and Intel Capital. “The explosion in sensor, operational and network data presents an unprecedented opportunity for businesses in every industry to deliver and optimize services, continuously,” said Anukool Lakhina, founder and CEO of Guavus. “To generate value from this data, they need a new data fabric that fuses disparate sources of data streaming on the network with existing information systems, and provides contextually-aware decisioning applications that can be used to trigger business processes at the exact moment of need." Guavus was founded in February 2006. Gogo has been selected to install two in-flight connectivity solutions on American Airlines' new Airbus A320 family and Boeing 737 deliveries: Ku-band satellite and Gogo's next generation Air to Ground technology - ATG-4. The dual systems will enable the aircraft to provide seamless in-flight internet service on domestic and international flights. Installations will occur as the new aircraft are delivered to American beginning in 2013. "Installing the two systems helps ensure these aircraft will stay connected wherever they fly, whether they're flying domestically or headed to an international destination," said Gogo's president and CEO,Michael Small. "Gogo's ability to deploy multiple connectivity solutions gives us the flexibility to install the right technology for each individual aircraft regardless of its mission. American's decision to use both solutions is further acknowledgment of the significant advantages of the dual system for an enhanced customer experience." Gogo was previously selected to outfit existing MD-80 and Boeing 737, 757 and 767 aircraft in American's domestic fleet. Gogo service is currently available on more than 400 American aircraft. 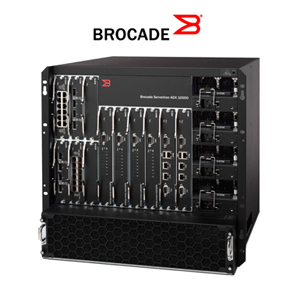 A U.S. court in San Jose, California confirmed a $60 million damages verdict against A10 Networks and entered an order permanently enjoining A10 from infringing on Brocade's patents involving technologies for Global Server Load Balancing and High Availability. The Court enjoined A10 from "making, using, selling, or offering to sell in the United States, or importing into the United States any AX series application delivery controller that includes features that infringe" on these asserted claims. Last August, a jury found for Brocade on four claims of patent infringement involving technologies for Global Server Load Balancing and High Availability and found that the A10 AX Series line of load balancers infringe on these specific patents. "We appreciate the Court's careful attention to the evidence and its willingness to enforce important intellectual property rights," said Tyler Wall, vice president and general counsel at Brocade. For its part, A10 Networks described the court ruling as "a narrowly-tailored injunction against certain products," noting that the court explicitly held that "[c]ustomers of A10 who have already purchased and continue to use infringing AX Series devices shall not be affected by this injunction." "We have already designed around the issue, completed rigorous testing of non-infringing software, and will ship AX Series products immediately to serve our outgoing and future orders," stated Lee Chen, CEO of A10 Networks.